Everyone knows how I feel about subs in this area. There’s legitimately one place, and one place only that holds a special place in my taste buds and my heart. And that, my friends, is Roma Imports. Well I must say, I am pretty weary when it comes to trying many other specialty sub shops, especially because I’ve been disappointed so many times in my life. But my mom insisted that Pellegrino’s on Route 9 was worth the try – so I went for it with a positive attitude. 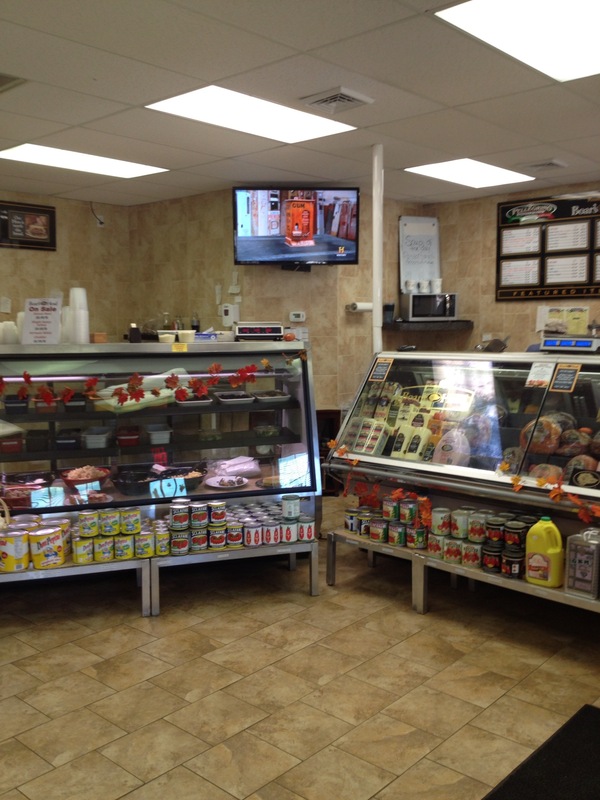 Many of you might have heard of Pellegrino Deli before, since it already has two locations, one in Albany on Central Ave and one in East Greenbush. 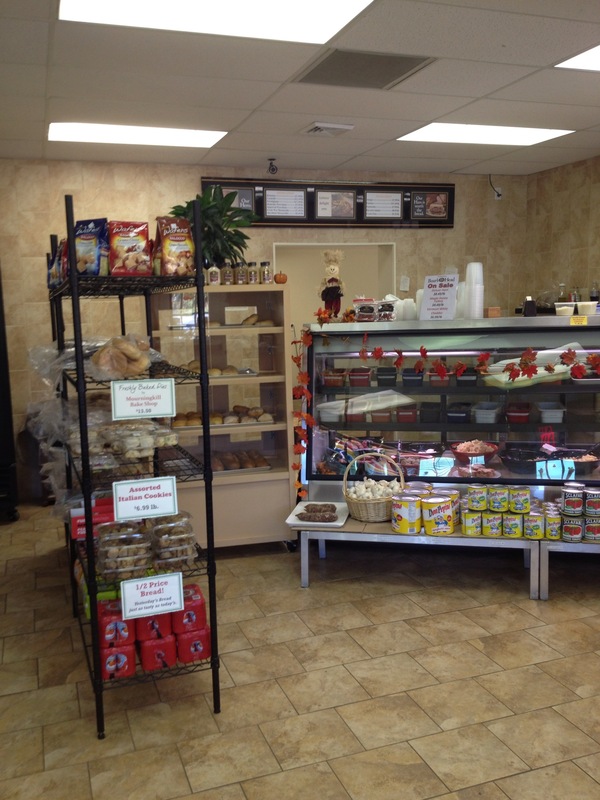 Now, they’re occupying the previous location of Just Meats on Route 9 in Malta, specializing in Greek and Italian foods. 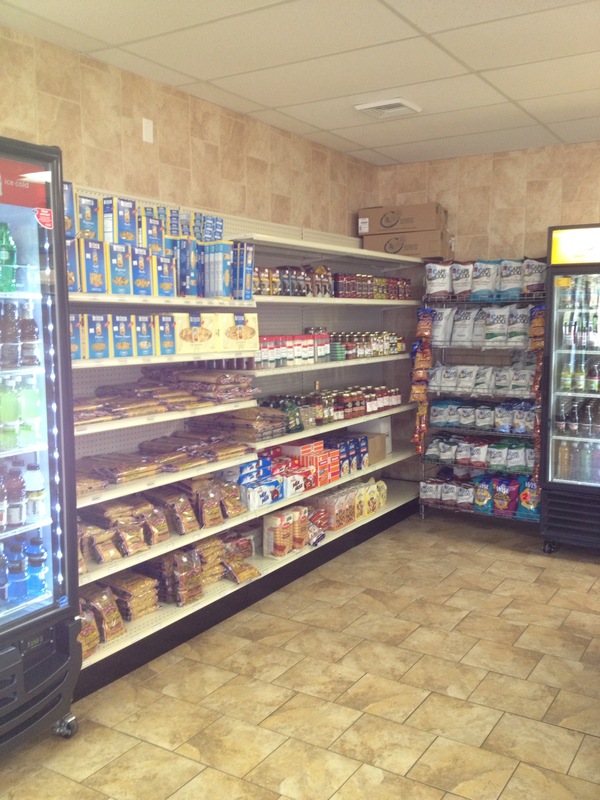 From specialty sausage to gourmet subs and take-out dinners, the menu is very extensive. Naturally, when I went in I ordered an Italian Mix, even though the menu didn’t specify exactly what their take on the Italian Mix was. Before I start with my review, I’m going to break this up into 3 categories: bread, meat and dressing. Prepare yourself. Starting with the bread, I must say that I was impressed. The bread was fresh, soft enough but still had that effect where you feel slightly barbaric taking a bite and it had a slightly buttery flavor. I thought it was among the best bread I’ve had as far as sub rolls go in the area, ranking just slightly below my beloved Roma’s. Talk about a meaty sub, this thing was unbelievable. There was so much Italian deli meats on this sub, I couldn’t believe my eyes when I looked at it. We had some genoa salami, ham cappicola, mortadella, and of course, some sharp provolone. If you’re a serious meat lover, this sandwich might just beat Roma’s. 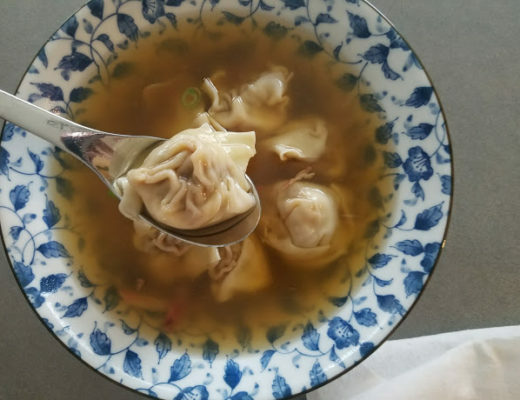 For me, it was almost a little too much meat, but I had also just picked up my registration package for the 10k race I was planning on running the next day, which ultimately had an impact on my appetite and sense of well-being. In terms of the traditional oil and vinegar, it was on point here. I know some Italian deli’s that use balsamic vinegar which I really despise on my Italian mix subs – but they got it right with the olive oil and red wine vinegar. YUM. So my final thoughts? 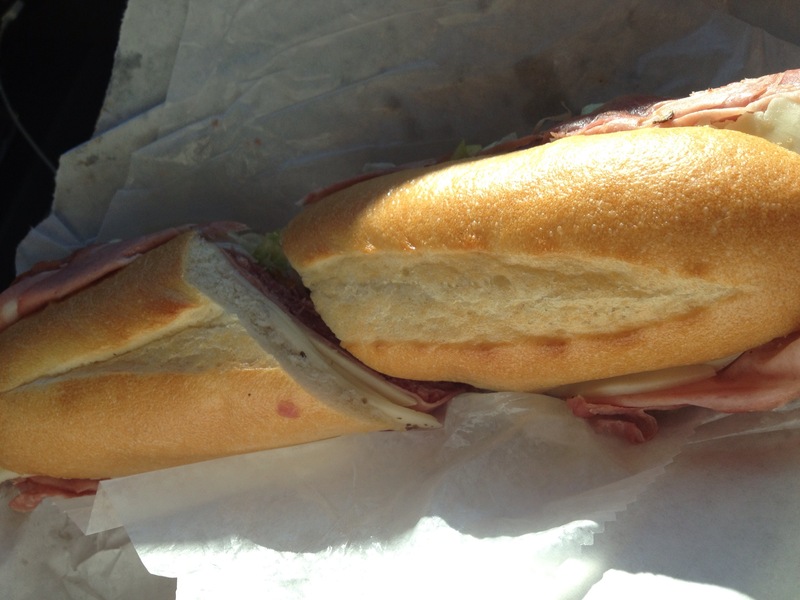 I still think Roma’s is the best, but Pellegino is a very, and I mean VERY close second. Regardless of what I think, you should probably go in and try it for yourself and then let me know how it stacks up. Where’s the best sub you’ve ever had from? You summed up my expectations of a great sub perfectly and I agree about Roma’s. The acid test of a sub shop,is the Mixed Italian. No pepperoni and the bread must be crusty. The soft slippy-slidies from places like Martino’s just don’t cut it. How are the prices compared with Roma? Oh and from your photos, one can tell this place is the real deal. They even carry the yellow cans of Don Peppino’s spaghetti sauce and pizza sauce. The prices are actually really good. I ordered the 6″ and as you can tell from the pictures, it was pretty massive. Enough meat to feel a small family, that’s for sure! but here’s a link to the menu for all of their prices — http://www.pellegrinoimporting.com/index.php/full-menu/ — my sub cost $5.49. 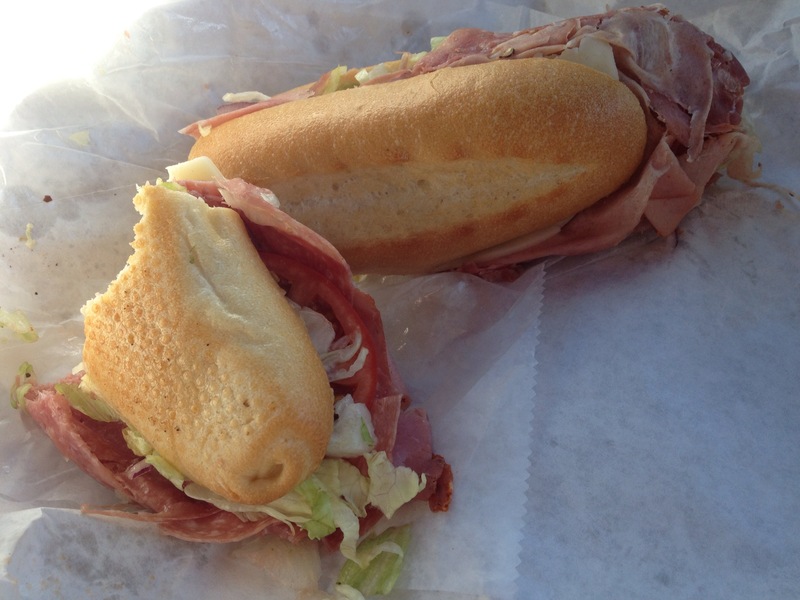 I’m with you on Roma’s, though I generally get domestic prosciutto with sharp provolone instead of the mixed Italian. Pellegrino’s looks like it’s worth a try but I don’t like all that meat sticking out in your pic… what are you supposed to do with it? Put it inside the sandwich where it belongs! hahahah it’s true! I never thought it would be possible to get a sandwich with too much meat… but I think I hit the jackpot on this one. With that said, I’m sure there would be people rejoicing over the amount they serve, especially with it only costing a measly $5.49 for what I ordered.